Jeffrey Feaster hadn’t been feeling well for a few days. He thought maybe he had the flu, but didn’t want to miss his radiation therapy appointment. He was being treated for prostate cancer, and every appointment was important. 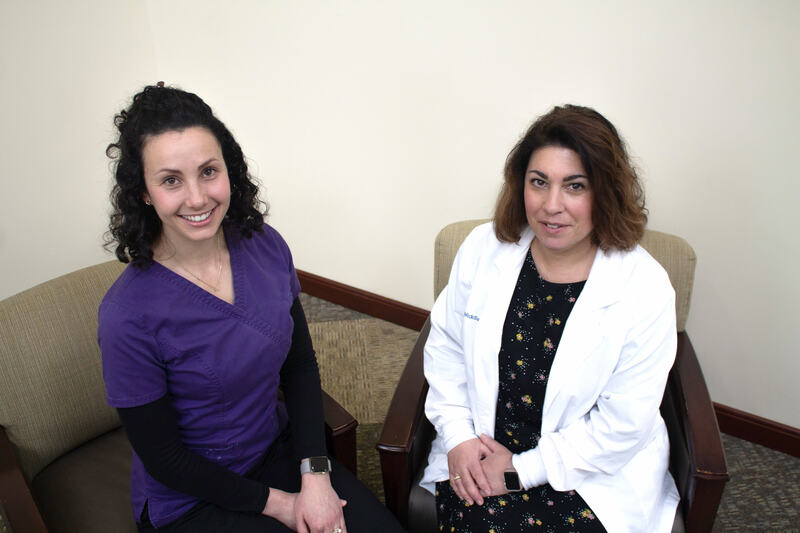 When the Higganum resident walked into Middlesex Health Cancer Center in September, Angela Lane, a radiation therapist, commented that he didn’t look well. He was sweating profusely, but insisted on receiving his treatment. Immediately following, he felt sick and vomited, and there was a burning feeling in his chest. Middlesex staff became increasingly concerned. Feaster just wanted to go home, but Lane insisted that a physician evaluate him, and ultimately, he was advised to go immediately to an Emergency Department via ambulance. Feaster resisted numerous times, but Leah Bahner, a Radiation Therapy nurse, insisted. Feaster went into cardiac arrest in the ambulance and was resuscitated. He had his first heart surgery that day. His second heart surgery was about a month later—after he finished his radiation therapy treatment. Today, he is in cardiac rehabilitation at Middlesex and counting his blessings. “They saved me twice – with the cancer and then the heart attack,” he says. What options should you consider if you are struggling to lose weight and are considered morbidly obese? This is a listing of orthopedic surgeons at Middlesex Hospital.